The Chinese Yuan has tanked recently on Trump’s trade war. Here’s USDCNY (a spike in USDCNY = Chinese Yuan tanking). For some, this brings back memories of 2015, during which the Yuan tanked and then the S&P 500 tanked. But remember: correlation is not causation. 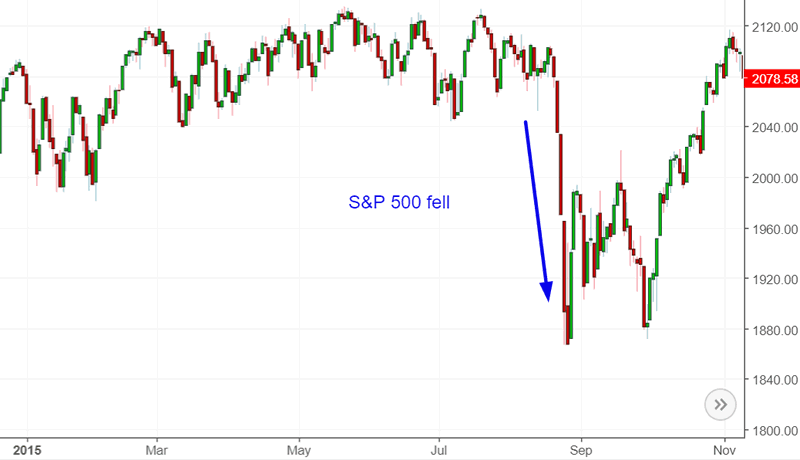 Just because a butterfly flapped its wings before the stock market fell in 2015 doesn’t mean that the butterfly flapping its wings CAUSED the stock market’s decline. Here’s proof that spikes in USDCNY (devaluing the Yuan) aren’t consistently bearish for the stock market. 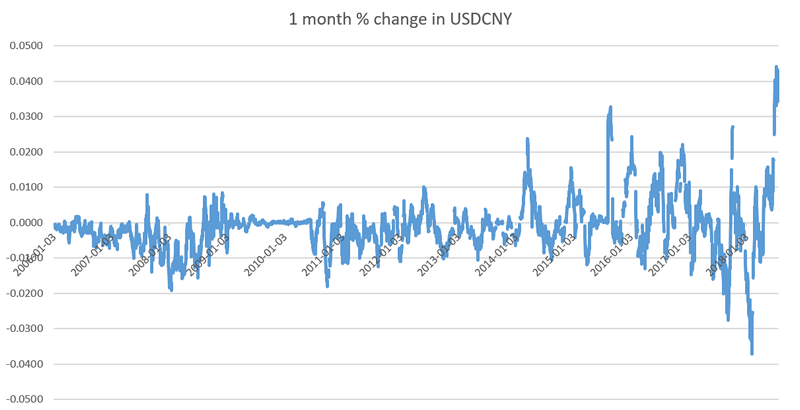 USDCNY spiked in mid-March 2014. The U.S. stock market continued to rally. The Chinese Yuan depreciated before the U.S. stock market fell in August 2015. The Chinese Yuan depreciated before the U.S. stock market fell in January 2016. However, the Yuan depreciated from April 2016 – December 2016 while the stock market trended higher. As you can see, the U.S. stock market’s reaction to a depreciating Chinese Yuan is mostly random. When USDCNY spikes and the Yuan depreciates, the stock market has a 50-50 chance of going up or down. In other words, correlation is not causation. What the Chinese Yuan does has no consistent impact on what the U.S. stock market does. Likewise, the Chinese stock market has little bearing on the U.S. stock market. The long term correlation between the Shanghai Index and S&P 500 is literally random. The correlation constantly fluctuates between negative and positive. 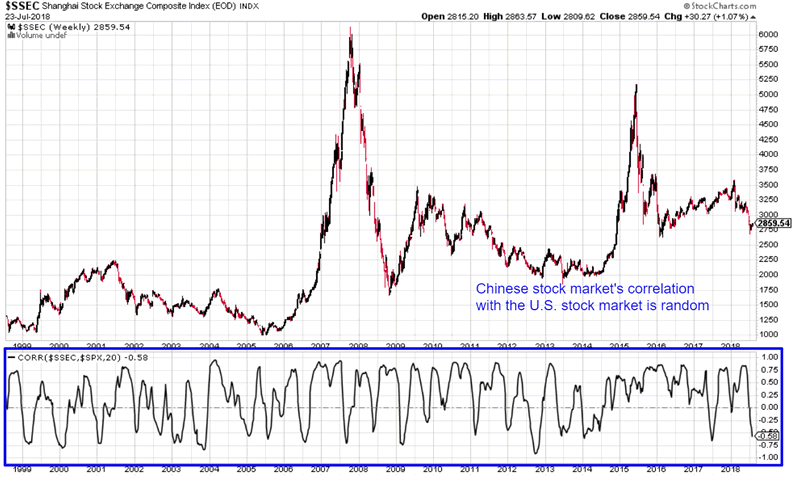 A depreciating Yuan and falling Chinese stock market is not consistently bearish for U.S. stocks.